Microsoft released Azure Active Directory Connect version 1.1.553.0 on June 26, 2017. More importantly, they published an important security advisory one day later. The [ADD Connect version 1.1.553.0] update addresses a vulnerability that could allow elevation of privilege if Azure AD Connect Password writeback is misconfigured during enablement. An attacker who successfully exploited this vulnerability could reset passwords and gain unauthorized access to arbitrary on-premises AD privileged user accounts. The issue is addressed in the latest version (1.1.553.0) of Azure AD Connect by not allowing arbitrary password reset to on-premises AD privileged user accounts. Microsoft highly recommends all customers update to version 1.1.553.0 or later to mitigate this vulnerability, even if you don’t use the optional password writeback feature. If you are unable to update immediately, the article above describes mitigation steps you can consider. If the AD DS account is a member of one or more on-premises AD privileged groups, consider removing the AD DS account from the groups. If an on-premises AD administrator has previously created Control Access Rights on the adminSDHolder object for the AD DS account which permits Reset Password operation, consider removing it. It may not always be possible to remove existing permissions granted to the AD DS account (for example, the AD DS account relies on the group membership for permissions required for other features such as Password synchronization or Exchange hybrid writeback). Consider creating a DENY ACE on the adminSDHolder object which disallows the AD DS account with Reset Password permission using Windows DSACLS tool. There is a known issue with the MS16-072/KB3163622 patch. This update will break GPO’s with faulty rights. Examples: Drives appear on domain systems that should be hidden, mapping drives don’t work, and other typical GPO settings aren’t getting applied. 1. Add the Authenticated Users group with Read Permissions on the Group Policy Object (GPO). 2. If you are using security filtering (WMI), add the Domain Computers group with read permission. I created a handy script to fix a Exchange calender the easy way. Put CalCheck.ps1 in de same folder where calcheck.exe exsist. 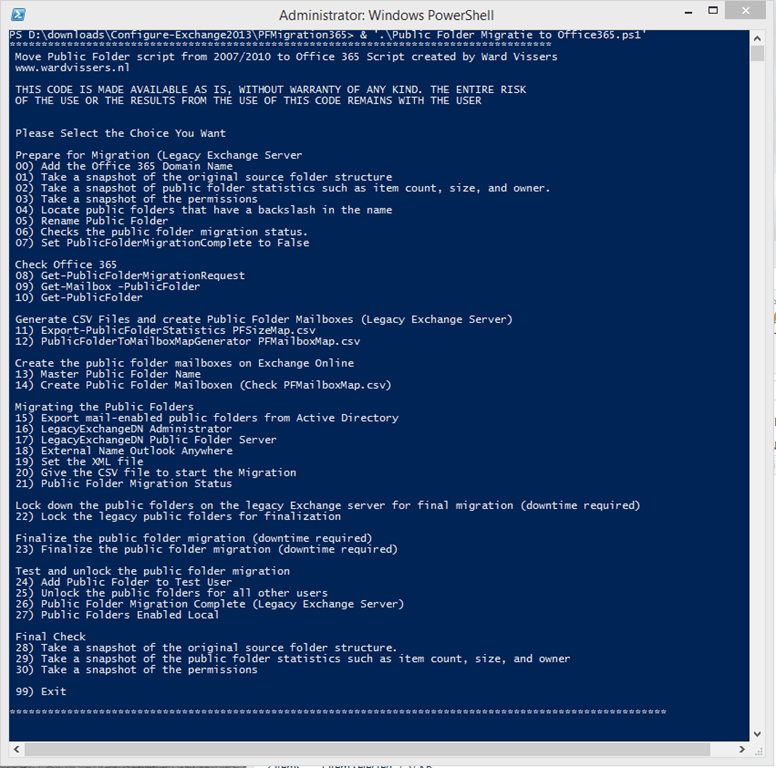 For you as a System or Exchange administrator or Consultant you might consider some things before migrating to Exchange 2013. Error while preparing to send sharing message. 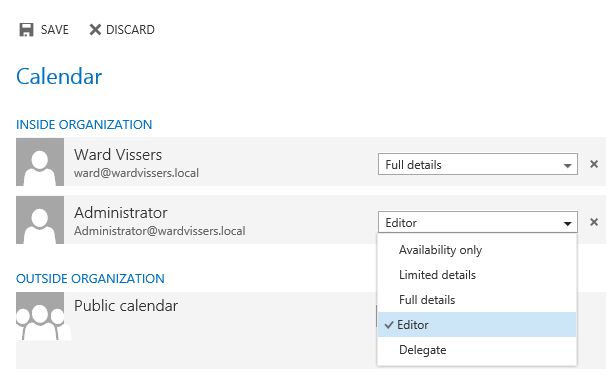 An error occurred when setting schedule permissions. 02) Take a snapshot of public folder statistics such as item count, size, and owner. 06) Checks the public folder migration status. 28) Take a snapshot of the original source folder structure. 24) Take a snapshot of the original source folder structure.